Identifying contingencies between constructs in a multi-faceted learning progression (LP) is a challenging task. Often, there is not enough evidence in the literature to support connections, and once identified, they are difficult to empirically test. Here, we use causal model search to evaluate how connections between ideas in a genetics LP change over time in the context of an introductory biology course. We identify primary and secondary hub ideas and connections between concepts before and after instruction to illustrate how students moved from a phenotypic grounding of genetics knowledge to a more genotypic grounding of their genetics knowledge after instruction. We discuss our results in light of conceptual change and illustrate the importance of understanding students’ idea structures within a domain. Due to Romine’s effort with the revisions, we would like to propose a new authorship order: Todd, Romine, and Correa-Menendez, with a clause that Todd and Romine contributed equally to the work. We would like to thank the Center for Causal Discovery, supported by grant U54HG008540, for providing open access to its software TETRAD and for methodological assistance. We would like to thank Gretchen Haas for valuable feedback on this study. Elrod, S. (2007). Genetics Concept Inventory. http://bioliteracy.colorado.edu/Readings/papersSubmittedPDF/Elrod.pdf (accessed 20 July 2013). Manthey, S., Brewe, E., Traxler, A. L., Kramer, L. H., O'Brien, G., von Wettberg, E., & Lowenstein, M. (2014). A Multi-Measure Assessment of Course Type Efficacy between Traditional Lecture and Online Instruction General Biology I at a Large Public Hispanic-Serving University. http://www.academia.edu/download/34548053/Manthey2014_SABER.pdf. Rogat, A., Anderson, C. A., Foster, J., Goldberg, F., Hicks, J., Kanter, D., … Wiser, M. (2011). Developing learning progressions in support of new science standards. A RAPID workshop series. Consortium for Policy Research in Education. Retrieved from http://eric.ed.gov/?id=ED536834. Todd, A., & Romine, W. (2017). Empirical validation of a modern genetics progression web for college biology students. 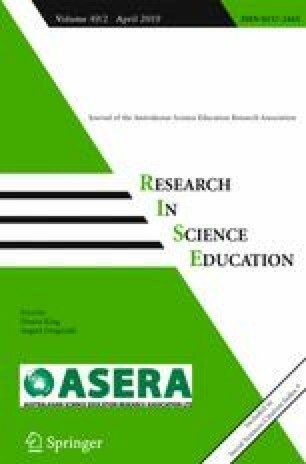 International Journal of Science Education. doi: 10.1080/09500693.2017.1296207.